The best diapers on the market. I am so happy that I found Moony products in USA. Moony are the best diapers ever. 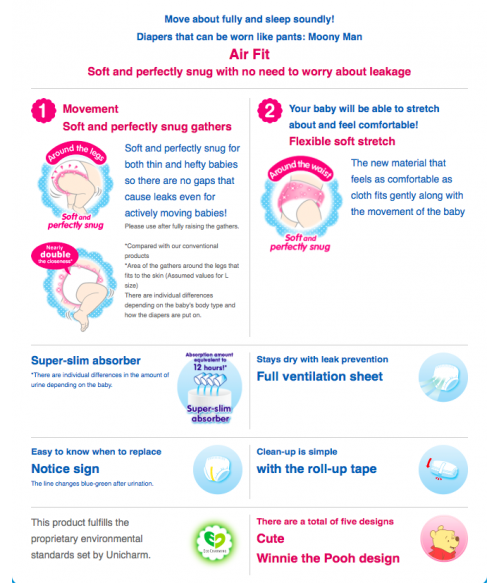 Like every parent we tried to find a perfect diapers for our baby that will protect her sensitive skin from rash, allergy, traces from diapers, leaks and etc. 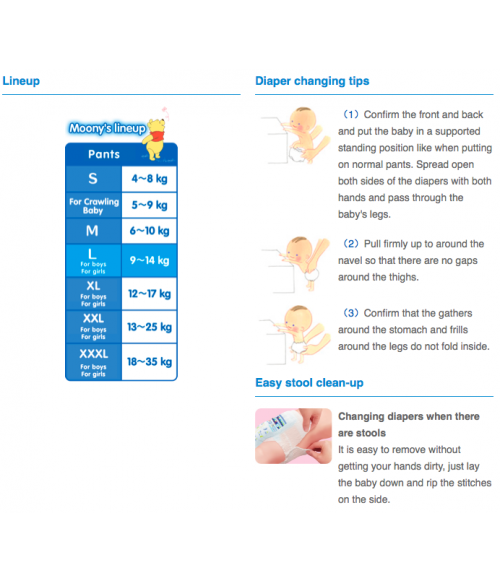 We triend bunch of different diapers and nothing worked really good for our daughter. Leaks, rash, bad fit, chemical smell and irritated skin as a result. That was until we went to Europe and discovered Moony. We are very happy with them. 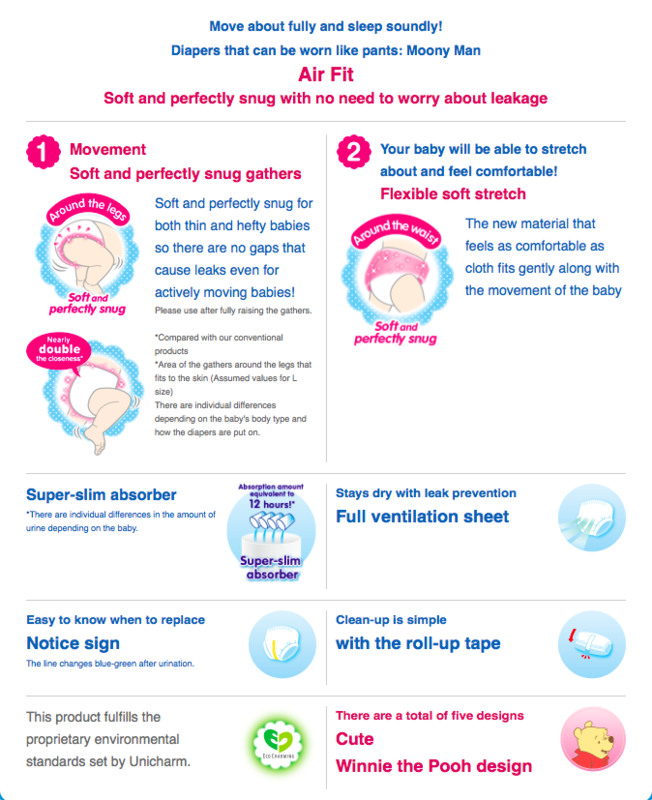 We will definitely recommend to everyone who is looking for diapers that will protect your baby from leaks, rushes and give them the best possible comfort. There’s just one minus with these diapers is the price here in US, however me and my husband still believe that it’s worth it. Awesome pull-ups. Have been using these diapers for months now. They are soft and non-allergenic and light., but also never leaked. 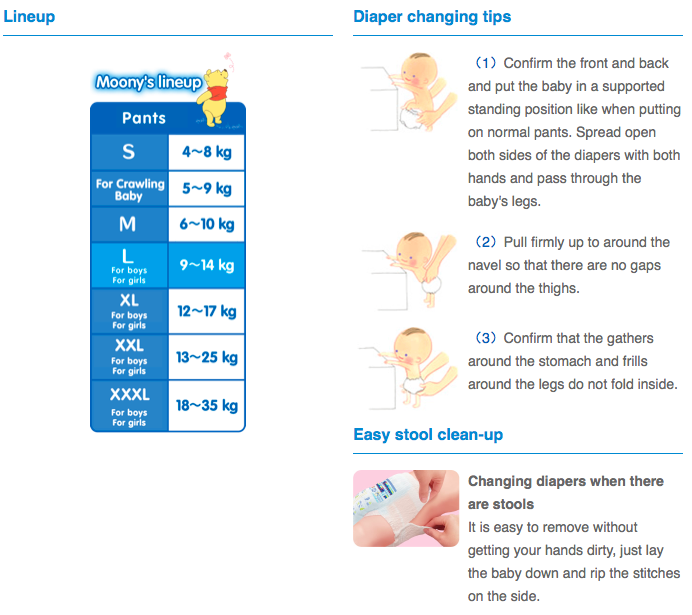 I've been searching around internet for Japanese diapers for my daughter, either too pricy or not shipping to Canada. This website is the best! I bought 6 packs in total(5 packs of Moony pull-ups, and 1 pack of Merries pull-up) they're the same as I bought in Japan. Fast delivery as well. The best seller among market compare to EBay, amazon(Amazon US, Amazon Canada, Amazon Japan), definitely buy again and recommend to mom friends. I love these diapers! They are the softest! We've tried so many other brands, and these are totally the best.